Yoav has been a security manager for the past 34 years directing the protection of a comprehensive range of facilities, corporations, embassies and airports in Israel and abroad. Over his extensive career, Yoav developed expertise in crafting principled security programs, and developing security procedures & best practices. Yoav started his security career with the Israel Ministry of Foreign Affairs serving as a security officer at the high-profile Embassy in Pretoria, South Africa. He then joined the El Al security department where he served for three decades in various operational and management roles such as Head of El AL security in Munich & Frankfurt Germany, after which he was appointed as Director of Regional Security for North America, South America and France. Towards the end of 2012, Yoav retired from the Israeli Aviation Security Services and was appointed as Head of Security of the Abidjan International Airport in Cote D'ivoire. During that time Yoav managed to bring Abidjan Airport to comply with the ICAO standards and regulations as well as those of the American Transport Security Administration (TSA), thus the airport was awarded the required certifications. Yoav completed an aviation security director’s course given by the Israeli Ministry of Defense as well as coursework in medical technology at Tel Aviv College. 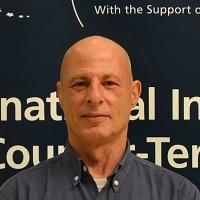 Yoav Lorbert has been a security manager for the past 34 years directing the protection of a comprehensive range of facilities, corporations, embassies and airports in Israel and abroad. Over his extensive career, Yoav developed expertise in crafting principled security programs, and developing security procedures & best practices. Yoav started his security career with the Israel Ministry of Foreign Affairs serving as a security officer at the high-profile Embassy in Pretoria, South Africa. He then joined the El Al security department where he served for three decades in various operational and management roles such as Head of El AL security in Munich & Frankfurt Germany, after which he was appointed as Director of Regional Security for North America, South America and France. Towards the end of 2012, Yoav retired from the Israeli Aviation Security Services and was appointed as Head of Security of the Abidjan International Airport in Cote D'ivoire. During that time Yoav managed to bring Abidjan Airport to comply with the ICAO standards and regulations as well as those of the American Transport Security Administration (TSA), thus the airport was awarded the required certifications. Yoav completed an aviation security director’s course given by the Israeli Ministry of Defense as well as coursework in medical technology at Tel Aviv College.